The Pilgrim settlement made me think of many questions that I couldn't figure out how to ask in character. For example, I wanted to ask "what do we know about the accents of the original settlers?" Some of the characters had Dutch accents from growing up in Holland, and some of them had accents that sounded Irish to my clueless ears - both of these are plausible, but neither of these obviously takes into account four hundred years of drift in accent, and I have no idea how much accents change in four hundred years. At one house, a tourist boy asked, "How did they get any privacy?" A reenactor commented, "Privacy isn't something you have; it's something you're granted once in a while." 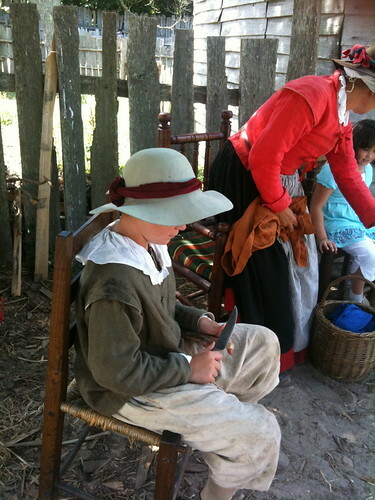 Another question I felt inhibited about asking: this boy was carving his first spoon, and he was using a knife so dull that I pulled Lori back in worry whenever she came within a few yards of him. I felt a great yearning to ask, "When that boy inevitably slashes himself with that knife, what seventeeth-century first aid will you do for him?" But I felt it would be impolitic to say that. 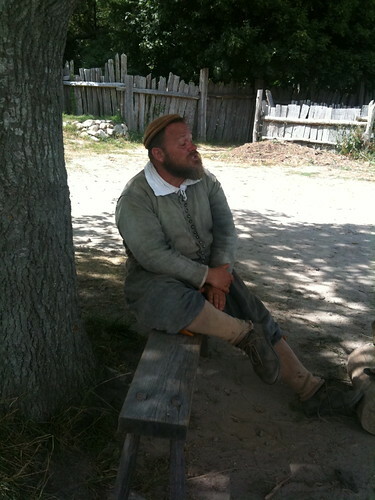 We had intended to eat at Plimoth Plantation, particularly because they had some seventeeth-century foods on their menu. But we were thwarted: the cafe closed before the village did. 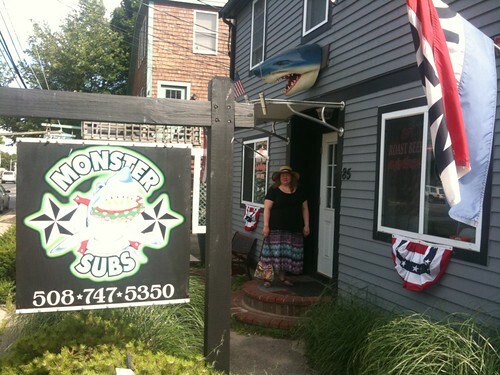 So to sate our hunger, we ate at a selachian place nearby called Monster Subs. I spotted American Chop Suey in the cooler and coaxed Lori to try it with me. I shouldn't have bothered. 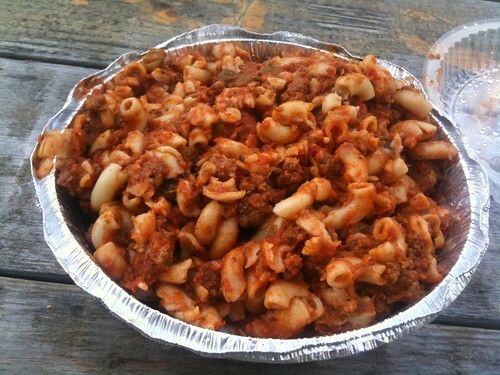 American chop suey turns out to be the concoction of macaroni, ground beef, and tomato sauce that I've met under the names of "chili mac" or "American goulash". (I'm curious about the name, though - the name implies that it was named by people to whom "chop suey" was a familiar term for "medley of food.") It was heated very unevenly, which brought it down several notches. From there to Plymouth Rock and the Mayflower II. 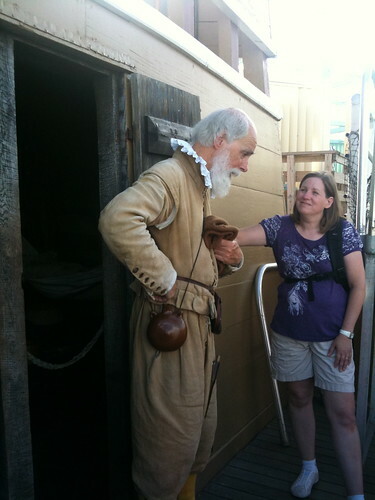 The Mayflower II had only a few reenactors, but they were very good. The captain of the ship clearly felt that his passengers were religious crackpots, but he was willing to transport them as long as their money was good. This man was a deacon among the religious Pilgrims. (Though the word "Pilgrims" wasn't applied to those settlers until around 1800.) His general attitude was that they weren't breaking from the English church at all, except in a few minor points about which the Church of England was so touchy and unreasonable. He could hold forth on these topics for several minutes at a time without allowing a word in edgewise. 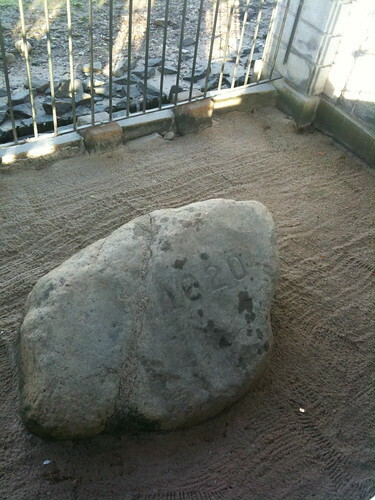 After that, we went to Plymouth Rock. I had a wholly wrong impression about Plymouth Rock. I figured that it would be a rock large enough to be a landmark - after all, they named a place after it. I was wrong. This is Plymouth Rock. It's a bit bigger than a washing machine. 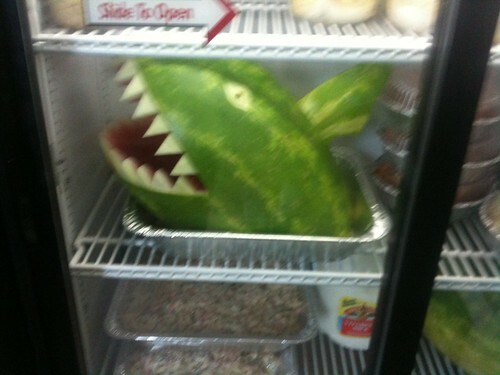 It would be easy to imagine a band of college guys moving it as a alcohol-inspired prank.